Ladies – here’s an important message for us: It’s not selfish to take care of yourself. In fact, it is an act of love. A healthier, stronger, happier you is better able to care for those depending on you. For many women, focusing time, attention or money on herself makes her feel selfish and guilty. But while it might seem noble to sacrifice your own needs, it just leads to burnout – or worse. When a client, Anna (not her real name), a mother and retired schoolteacher in her 50s, came to me she was over 100 pounds overweight, stressed and in tears. In addition to the challenges of living with obesity, she was beginning to suffer other health complications, too. Putting herself last her whole adult life had taken an emotional and physical toll. Sadly, Anna’s story is not unique. As a certified personal trainer and group fitness instructor, I see this all too often – women who don’t come to class because they let other things take priority. Or she’s distracted with texts from family, rather than turning off the phone during this time. Unfortunately, my observation has been that the women who do this are often also struggling with obesity or other health issues. As a caring woman who loves her family, what should you do? Just tell them no? Yes, that’s exactly what I’m suggesting. Make your exercise time a non-negotiable calendar item, except in the case of an emergency. This is your me time. Keep your fitness and healthcare appointments —and turn off your phone while you’re there. At home, make the healthy meal you know you need, even if the kids suggest fast food. If your exercise time and meal choices primarily depend on what everyone else wants, rather than your own needs, it’s a recipe for failure. It’s highly unlikely you’re going to be able to stick with a healthy routine. Eventually, just like Anna, an unhealthy lifestyle will catch up with you and cause problems. It’s not a matter of if, but when. The fact is, cardiovascular disease is the No. 1 killer of women, causing 1 in 3 deaths each year. That’s approximately one woman every minute! Heart disease is a killer that strikes more women than men and is more deadly than all forms of cancer combined. And North Carolina has the 20th highest death rate from cardiovascular disease in the country according to the American Heart Association. It’s a myth that heart disease is just for older people. 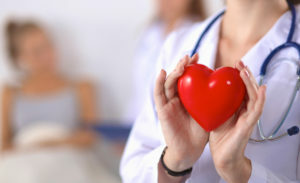 Heart disease affects women of all ages. And while the risks do increase with age, things like overeating and a sedentary lifestyle can cause plaque to accumulate and lead to clogged arteries later in life. According to the AHA, 64% of women who die suddenly of coronary heart disease had no previous symptoms. Because these symptoms vary greatly between men and women, they’re often misunderstood. People tend to believe that the telltale sign of a heart attack is extreme chest pain. But in reality, women are somewhat more likely to experience shortness of breath, nausea/vomiting, and back or jaw pain. Other symptoms women should be aware of are dizziness, lightheadedness or fainting, pain in the lower chest or upper abdomen and extreme fatigue. 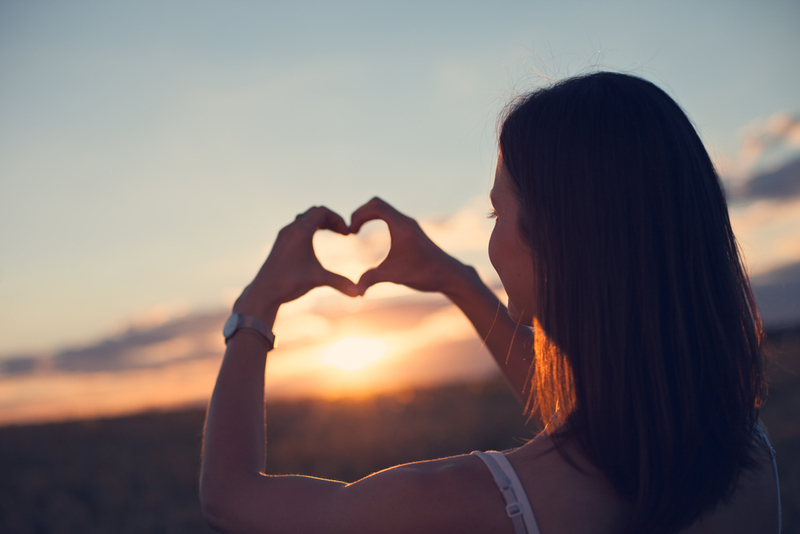 Although women with a family history of heart disease are at higher risk, there’s plenty you can do to dramatically reduce it. You can take steps now to keep your heart healthy. 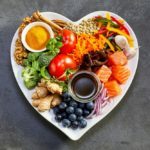 Because of healthy choices and knowing the signs, more than 670,000 women have been saved from heart disease, and 300 fewer are dying per day, reports the AHA. Be physically active. Adults should aim for at least 150 minutes total of physical activity each week. You can spread your activity out during the week and can break it up into smaller chunks of time during the day. Quit smoking. Cigarette smokers are 2 to 4 times more likely to develop heart disease than non-smokers. Blue Cross NC offers assistance to help you quit. Members can receive free tobacco cessation counseling (1-844-8NCQUIT), or register on BlueConnect for our Healthy Outcomes smoking cessation resources. In addition, QuitlineNC provides free cessation services to any North Carolina resident who needs help quitting tobacco use. Researchers Stewart D. Friedman and Jeffrey H. Greenhaus studied the lives and careers of over 800 business professionals and discovered this compelling finding: The more time that working mothers spent taking care of themselves, the better were the emotional and physical health of their children. Taking good care of yourself benefits every part of your life, including the people in it. Make the time for exercise and healthy eating. The time and effort are worth it. Your family is worth it.